It’s spring break, and I’m sure my students are hard at work on the articles they have due soon after we reconvene in Chapel Hill. My assignment to myself was to try to get caught up on some book reviews. There are some that are more belated than this one, but Defending Jacob is on the best-seller lists right now, so I’d thought I’d take advantage of the opportunity to be timely. DEFENDING JACOB. By William Landay. Delacorte Press. 421 pages. $26. This is a book that grips you, shakes you up and doesn’t want to turn you loose. It had such an effect on me that several times I had to resist the urge to sneak a look toward the end just to see if things were going to turn out all right. I was nearly as worried about Jacob Barber as I would have been about my own son. And that is part of William Landay’s genius: He gets to the heart of what it is to be a parent who loves and wants to protect his or her child no matter what. 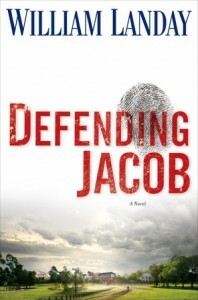 Defending Jacob ranks up there with the best of legal thrillers. The case develops sometimes with what seems agonizing slowness, sometimes with heart-stopping speed. The investigation, the legal chess game, the tension between prosecution and defense, the conflicts within the defense team – all are depicted realistically and with mounting suspense. But from the start, there is much more at stake than a lawyer’s success or even a defendant’s freedom. A family – parents who love their child, husband and wife whose love for each other created the child, and the man-child himself – hangs in the balance, all entwined in the legalities and far too aware of the imperfections of the justice system. The story is told by Andy Barber, who’s been a successful assistant district attorney in a nice suburb in Massachusetts for 20 years. He and his wife, Laurie, have one child, Jacob, who seems a pretty typical 14-year-old – absorbed in his own world, sometimes a little surly, but basically a good kid. When a high-school classmate of Jacob’s is stabbed to death on his walk to school one morning, Andy starts working the case. As the lead ADA, he usually works high-profile cases himself. But before long, the case takes a shocking turn: Jacob becomes the leading suspect, and Andy’s initial involvement only complicates an already terrible situation. Most people try to banish those nightmare scenarios that make parenting a terrifying endeavor. You try to take the right precautions, teach the children how to fend for themselves, and try not to dwell on all the dangers out there in the world too much. If you give in to the worries, you’ll smother the child. But what parent of a “normal” child even, in his darkest nightmares, imagines that child as a murderer? You don’t have to if you read Defending Jacob: Landay has done the imagining for you. Andy is put on paid leave from the prosecutor’s office. He and Laurie hire a defense lawyer he admires, but Andy acts as a part of the defense team. He believes Jacob when the boy insists he is innocent – Andy simply cannot do anything else. But as he probes deeper into the case, he begins to learn things about his son that he’d rather not know. Then, too, there’s the matter of Andy’s own heritage, especially the father he had let people believe was not a part of his life. And their courtroom adversary is another assistant DA whom Andy had helped train. Through the months of trial preparation, and then into the trial itself, the Barber family struggles to maintain some sanity. If anything, the ordeal takes more of a toll on Laurie, the wife and mother, than on anyone else. Andy must confront in a new way the big questions he’s dealt with for years professionally: the flaws in the justice system; the possibility that truth and justice will diverge; the lines between what’s right or desirable and what’s legal. And all of those conflicts are compounded by questions of where his loyalty should lie, and of what the nature of unconditional love is and should be. Landay is an outstanding writer. The characters are so real you ache for them. And the story builds convincingly to a stunning conclusion. This entry was posted in Contemporary literary fiction, Thriller/Suspense and tagged contemporary fiction, courtroom thriller, Landay. Bookmark the permalink.